The Rapiscan Secure 1000 has been called a “virtual strip search.” It shows a person’s private parts but obscures the face. 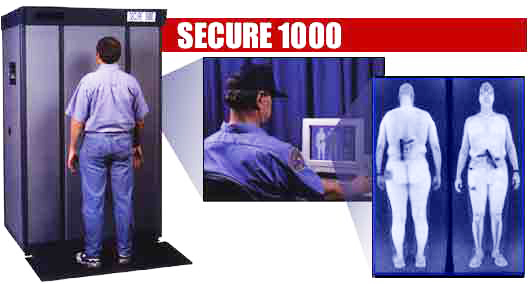 Bush’s Homeland Security Secretary Michael Chertoff heads the so-called full body scanner lobby. My boyfriend is in Big Sandy Federal Prison for a crime he DID NOT commit! The ONLY positive aspect of this story is that these prisoners are setting aside race/religion, most of all HATE, and joining together on common ground. The only thing that can change the world we live in is to break our own beliefs, search for the truth, speak the truth, be the truth…Love is a healer! I pray for those prisoners, regardless of what crimes they did or did not commit. A special prayer for the Warden because he has the power to change these crimes against humanity. Nobody is right if everyone is wrong.